Ready for a good time?????? on Main Street to Marina Park in Federalsburg, Maryland. This year promises to be better than ever! We have various craft and direct sale vendors, lots of food, entertainment and activities! What could be better than all of that you ask??? Fireworks to end the evening! 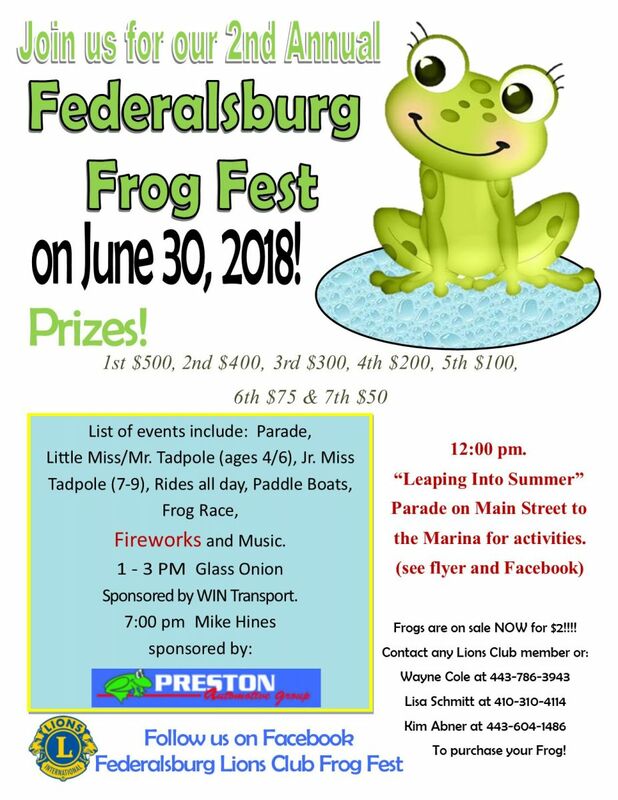 So bring your family and friends to the 2nd Annual Federalsburg Frog Fest and have a great time!